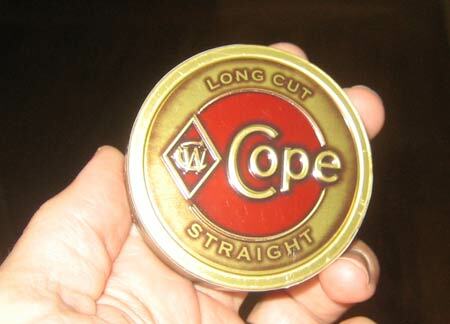 I was amazed to see the new life-management product from U.S. Smokeless Tobacco: Cope! 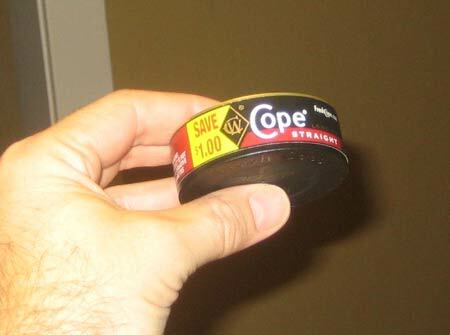 I know some people are hesitant to admit that they have an addiction, or that their nicotine addiction is a tool that they use to make it through their day. What a breath of fresh air that U.S. Smokeless is telling it like it is with this latest product! Try some today, available behind the cashier, next to Lifeshield wines and Forget Gin.